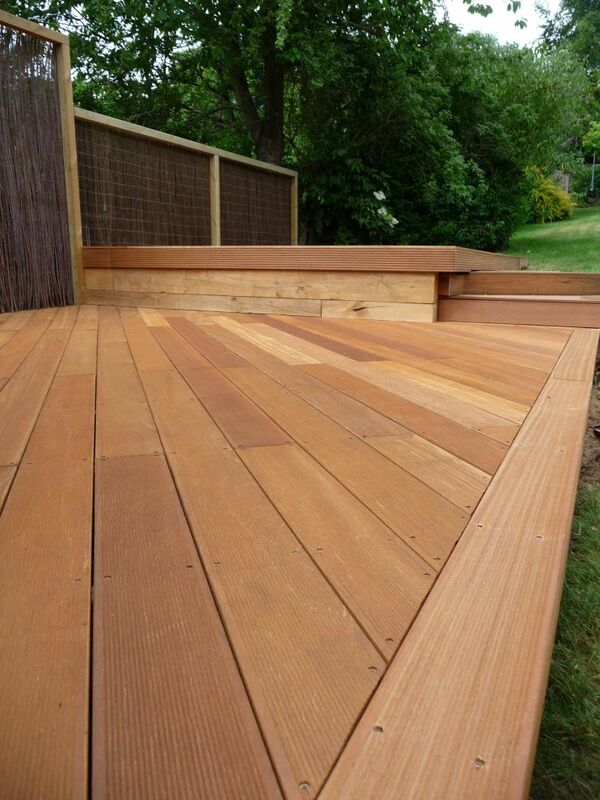 We were recently commissioned to build a deck over an old tired patio that had really passed its sell by date. When we arrived the client gave us the history of the garden and said that as it had such a slope and ‘twist’ to it they had not been able to do much with the garden and had laid most of it to turf. We came up with a few suggestions and after bouncing some ideas around we came up with a design that the clients were happy with and we went away to cost up the works. We were going to keep it clean but not so contemporary that it wouldn’t suit the traditional house in its settings. 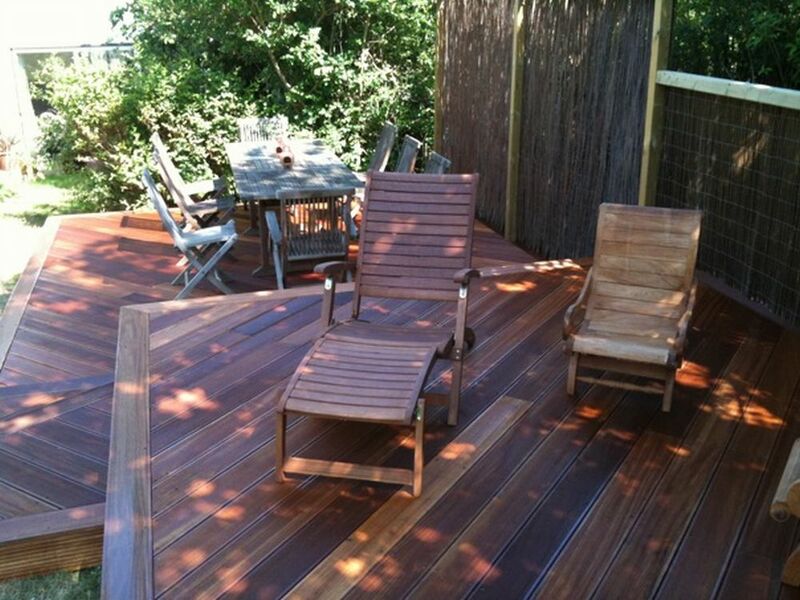 We chose Balau decking because of the ability to get FSC graded hardwood and keep all our consciences clear. After the clients’ acceptance of the idea and the estimate for the work we booked the diary date and looked forward to getting started. On arrival we set about dealing with the back drop of hedge that was starting to encroach over the entire area and quickly felled the dead tree that was also in our way. 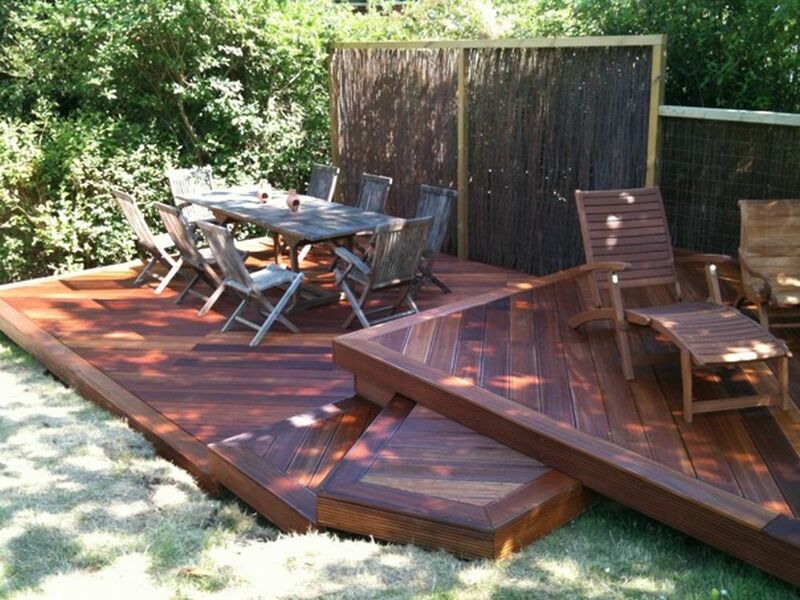 We then finalised the plan and layout with our client and installed the joist work to carry the deck boards. 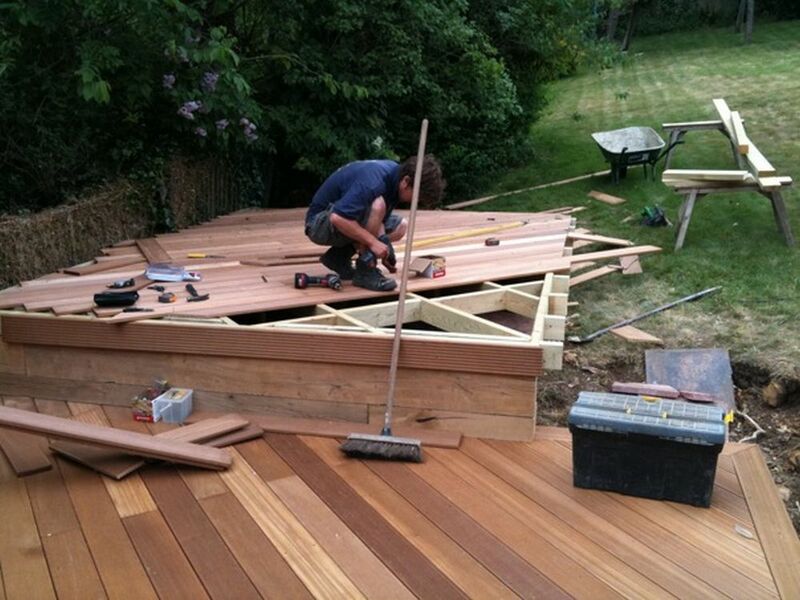 We were going to lay the decking at an angle to give a cleaner feel to the deck with a tidy board fitted around the edge to offer a change of grain and cover the ends of the boards. 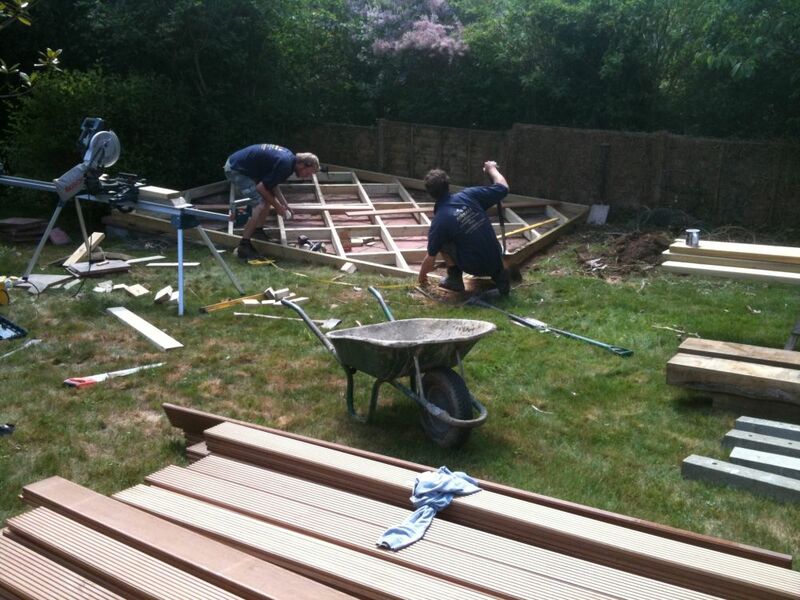 this requires a special layout of the joist work to pick up both timbers. 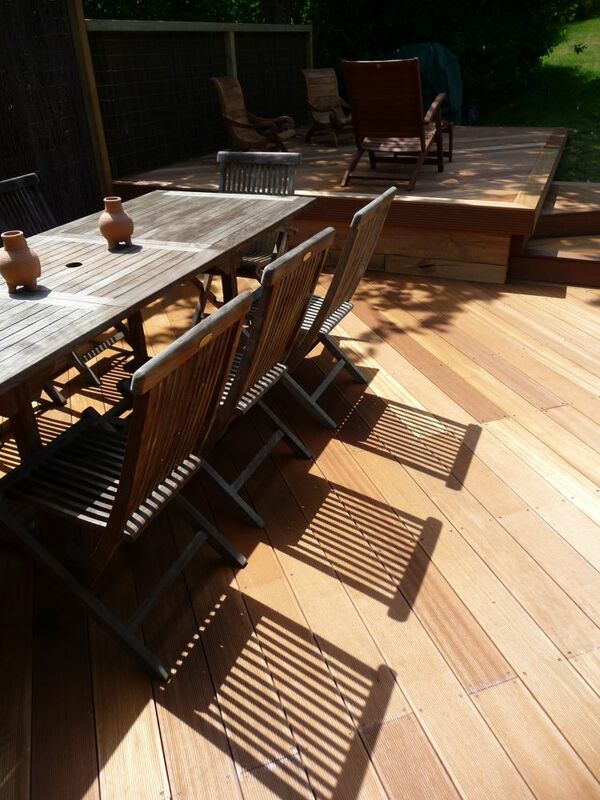 We used Oak sleepers to form a small terrace between the upper and lower decks. 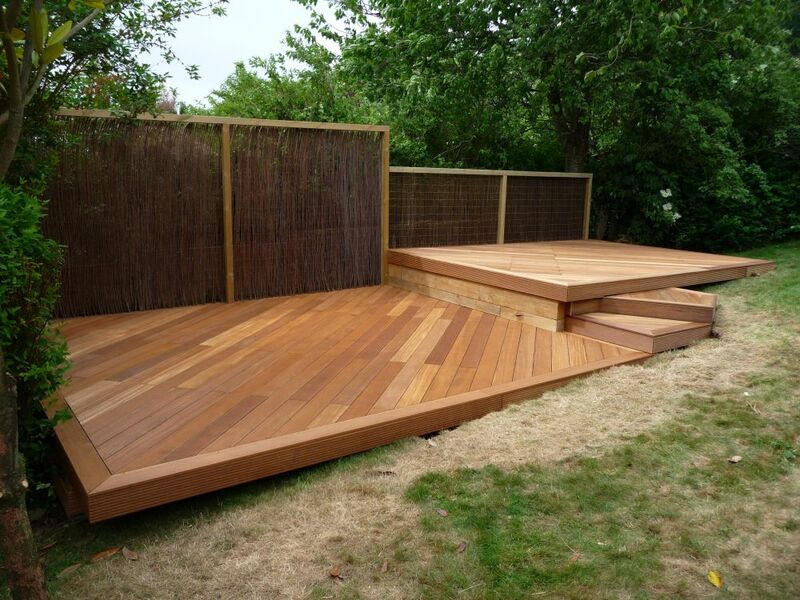 This was constructed at just the right height to be able to use it as a seating area for informal gatherings (and resting drinks)! 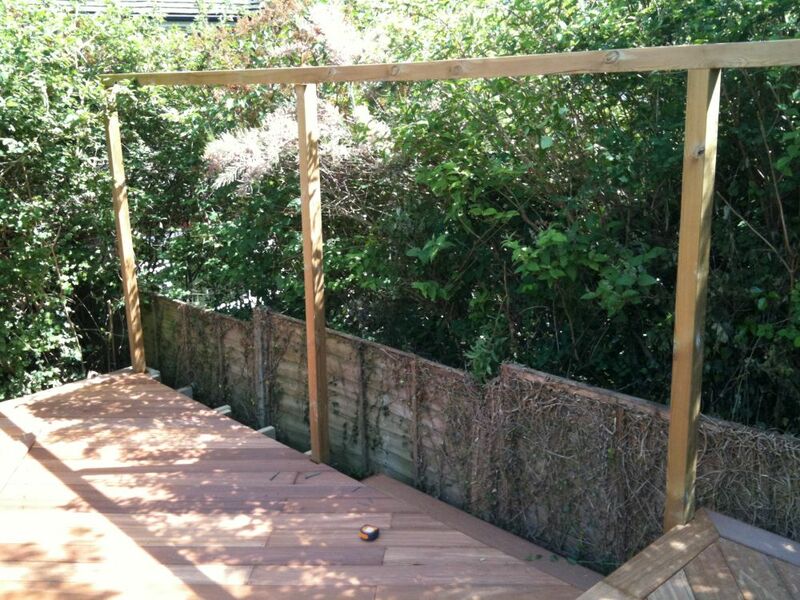 The job was soon finished and we added a back drop of a willow screen to give a little privacy between the neighbours without forming a large barrier that would be too imposing. 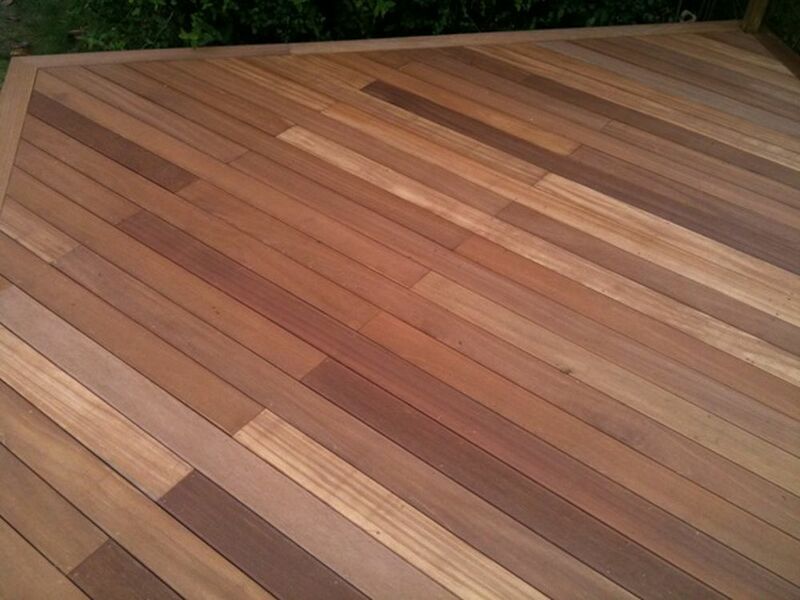 We matched all the joints of the decking to keep the quality feel to the project. The finish was superb. 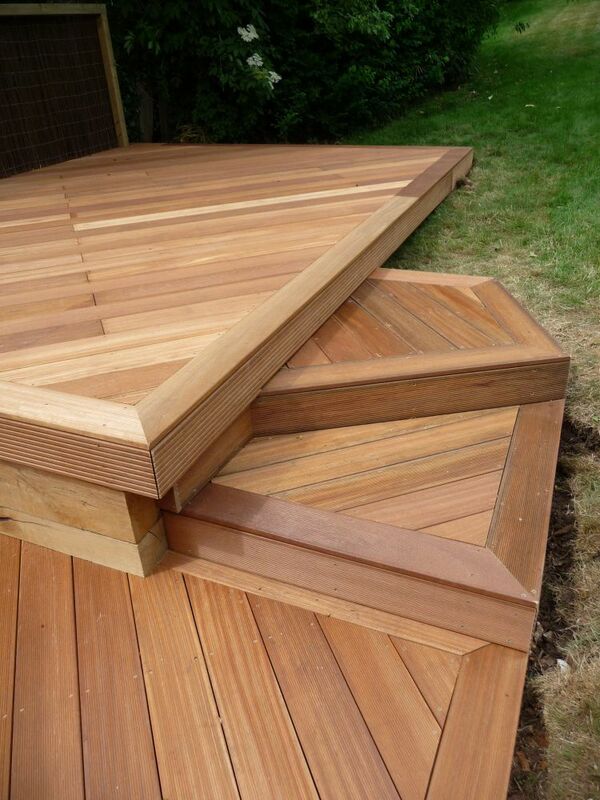 Both terraces are finished and the connecting steps are installed. I really like the way the steps came out as we had had some deliberations as to whether we should build them out of paving and brick. I am glad that we ended up finishing them off as we did. Notice how we changed the angles so that it is easier to identify each step for the user. The sleeper wall with the screening in the background. 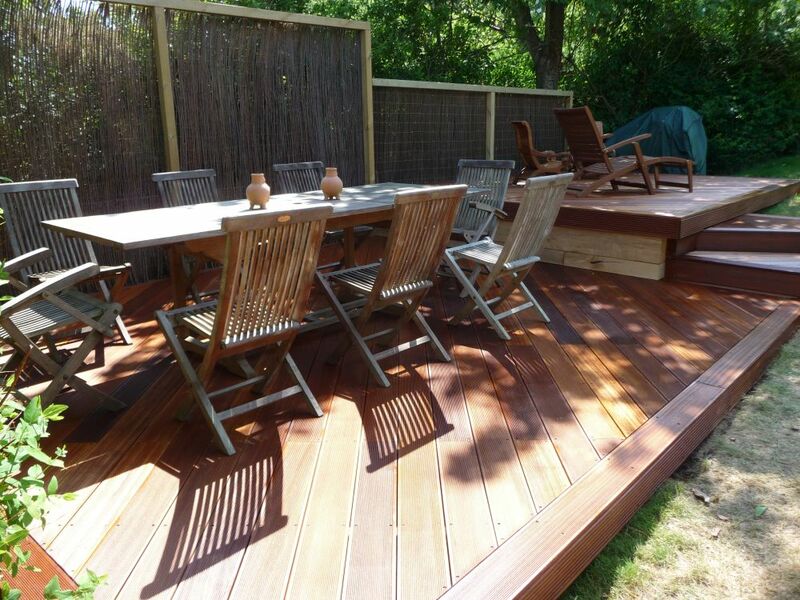 We were very happy with the way the build came out and our client couldn’t wait to enjoy the fabulous summer we are having on their new entertaining terrace.